Facebook activated its ‘Safety Check’ tool after the killings at an Orlando nightclub early Sunday, making it the first time the service was used in the U.S.
Facebook’s tool, launched in 2014, helps users in the vicinity of a disaster alert family and friends about their safety. The tool asks users determined to be in the affected area if they are safe and they can then notify their friends about their safety with the click of a button. Facebook said it has over the last few months both improved the launch process to make it easier and quicker to activate the tool, while also testing ways to let users identify and elevate local crises. It has, for example, automated the deployment of the tool so that trained teams across time zones can activate the tool at any time, rather than wait for an engineer to do it. “Following the community-generated Safety Check activation this morning in Orlando, we have now activated Facebook-initiated Safety Check for a mass shooting at a nightclub there. We hope the people in the area find the tool a helpful way to let their friends and family know they are okay,” a spokeswoman for the social networking company said on Sunday. Between January and May this year, Facebook activated Safety Check 17 times compared to 11 instances in the previous two years. The recent disasters for which the tool was activated ranged from earthquakes in Ecuador, wildfire in Alberta, Canada, to a cyclone in Bangladesh and flooding and landslides in Sri Lanka. 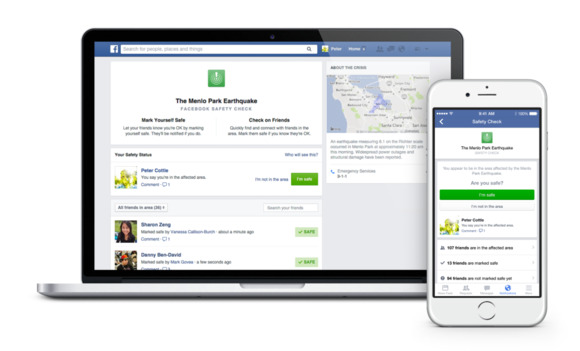 Facebook has broadened the list of disasters for which it activates Safety Check to include terror attacks, starting with the Paris attacks in November last year. The company decided to use the tool in a terror attack for the first time in Paris after it was observed that “Facebook became a place where people were sharing information and looking to understand the condition of their loved ones,” according to a company post at the time. Before that, the tool was only activated for natural disasters.